Naples Family Law Attorneys | Long, Murphy & Zung, P.A. When it comes to family law issues, you need a firm you can rely on for discreet and effective legal advice. You also need a team that has the resources and skill to seek the results you need, all while providing personalized support through these trying times. That is the type of representation our clients find at Long, Murphy & Zung, P.A. With over 75 years of combined experience, our Naples family law attorneys truly understand the intricacies of divorce, custody, and other family law proceedings. Our clientele across South Florida has included affluent individuals, professionals, retirees, parents, and people in all walks of life who have found themselves in need of family law counsel. At our firm, your interests, rights, and assets are afforded the highest protection by competent lawyers who will not hesitate to put your needs first. We strive to protect the rights of custodial & noncustodial parents. We offer exceptional legal services in all aspects of family law. We bring clarity to the division of complex & high net worth assets. 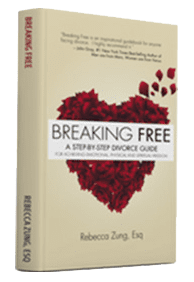 Rebecca Zung's road map for navigating the emotional, legal and spiritual challenges of divorce. 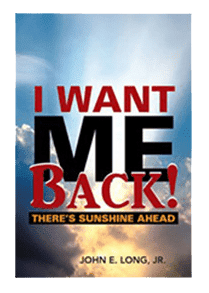 John Long's guide for getting through divorce with your self-esteem intact. Experience is one of the most important qualities to look for in your legal counsel. With experience in family law comes an understanding of the intricacies of Florida statutes and case law as it may impact your unique situation. Because we have over 75 years of collective experience, we at Long, Murphy & Zung, P.A. are also familiar with local judges, opposing counsel, and court personnel. Our Naples Family Law Attorneys know what strategies to employ and how to best protect our clients’ interests. At Long, Murphy & Zung, P.A., we only accept a select number of cases in order to provide our clients with the individual attention and high quality of service they expect and deserve. Additionally, because our clients' best interests are always at the forefront of our practice, we practice in a cost-sensitive manner. For a confidential discussion with one of our knowledgeable Naples Family Law Attorneys serving the Naples-Marco Island area, call (239) 232-2208 or contact us online to schedule an appointment. Through our years in practice, Long, Murphy & Zung, P.A. has built a reputation for excellence in divorce and family law. We take pride in serving clients across South Florida as a premier family law firm.